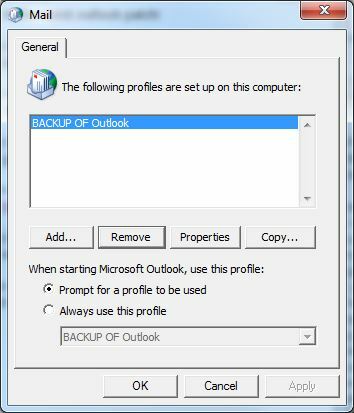 With Outlook 2010, I have profiles automatically created*. 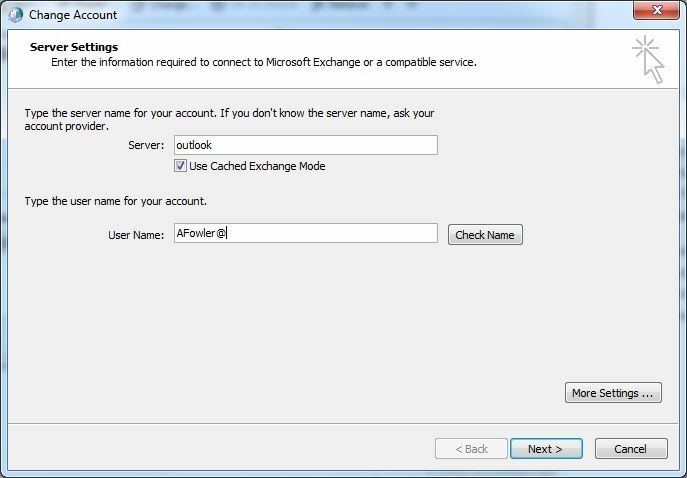 This means a user can just launch Outlook for the first time with all their account settings populated. The flow on effect of this is that from the Mail control panel program, clicking Add will also auto-populate the account using our email server and the signed in user’s email address. Once the new profile was created, you can normally go to Properties > Email Accounts > Change – from there, you can enter a different user’s name and use their Exchange account instead (assuming you have permission). This is handy for people who need secondary profiles for Outlook for whatever reason, or for Admins. Except, now I can’t change the account from my own. The User Name field for the Change Account window is greyed out! It never used to be. After doing some digging around, assuming some policy must have changed I finally worked out that the latest update for Outlook had caused this. The culprit is KB2956128, the February 10, 2015 update for Outlook 2010. After removing this update from my PC, the field was no longer greyed out and can now be changed. Another weird effect of this patch was that one of the profiles disappeared when it was installed, then reappeared after the patch was removed. 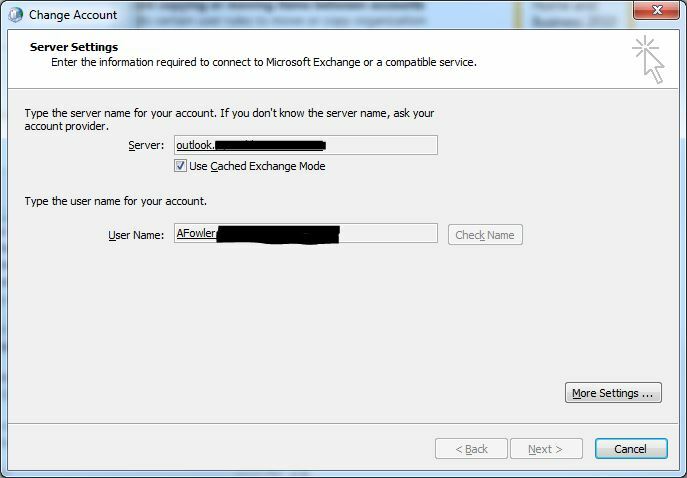 Although you deploy the Microsoft Outlook 2010 policy Prevent copying or moving items between accounts (registry entry DisableCrossAccountCopy), Outlook 2010 still lets certain user rules to move or copy organization email messages to an Outlook Data (.pst) file or another email account. The worrying part of this is it seems to be yet another patch that’s causing issues in the Microsoft world. They haven’t had a very good run of patches lately, when a year ago a bad patch was surprising. Let’s hope they start testing these more thoroughly again. * Update 6th March 2015 – I just wanted to clarify that in my work environment, we are pushing settings that force the auto creation of a profile. If you’re not doing this then you’re probably not affected as much by this particular issue because you’ll be prompted for the details such as Exchange Server and Email address, but there’s still several weird issues that have arisen from this patch – so either hold off or do extra testing on this one! * Update 11th August 2015 – I’ve now noticed that a new update KB3054881 replaces KB2956128, and also breaks this functionality. Uninstalling the update immediately fixes it. * Update 26th August – KB3055041 replaces the last KB, and still breaks it. I’m going to guess any future Outlook 2010 updates break this.